The dummy TS-SHURIKEN, the ninja stars with the perfect size to carry them in the molle webbing of your tactical vest. Four-pointed star with a traditional design. The dummy TS-HUNTSMAN, for those who like big and powerful blades. Its ergonomic handle, the saw teeth and the width of its blade, give it hardness and aggressiveness. The dummy TS-CORONEL, modern and aggressive. 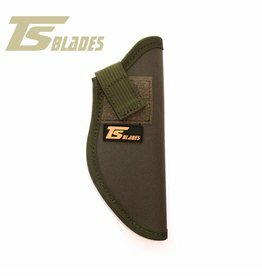 Its powerful blade size, comfortable handle, and trigger detail make this model a choice for users that looking for aggressive aesthetics. No one contradicts the Coronel. The dummy TS-DESERT WARRIOR, is the perfect combination of strength and manageability. Its wide blade and ergonomic handle make this model one of the most comfortable to handle in different positions and field situations. The dummy TS-KUNAI, the twins. This model is offered in pairs. Refined and elegant. This model is specially designed to carry it on the molle webbing of your tactical vest. The dummy TS-NIGH SHADOW, sniper’s best friend. Modern and with ergonomic grip. Despite its large size is specially designed to fit on the molle webbing. The dummy TS-JUNGLEMAN, from the deepest jungle in the world, this dummy is for who love really big knives and wild machetes. The double cord wrapped gives an extra grip comfort. The dummy TS-BLACK WIDOW, our new “karambit” model. Small but with an aggressive design, the hexagonal hole on the grip and the blade shape makes it one of the most modern. You can comfortably carry it on the MOLLE webbing. The dummy TS-BLACK HORNET, for “karambits” lovers. One of the most aggressive designs, perfect combine between blade and grip. You can comfortably carry it on the molle webbing.